A. As in any situation where you need to make a booking or reservation, the more notice you give the better chance you have of securing the day and time that you want..
A. Our movers can disassemble and reassemble furniture as required for safety and transport reasons. We regularly do this with pool tables and pianos. Our moving team members carry standard tools such as Allen keys and screwdrivers to aid in this. If a special tool is needed to disassemble/reassemble an item, we ask that you supply this tool. We request that you let us know at the time of booking if there are any items that we will need to disassemble (e.g. bedhead and base, office desk-and-return, etc.). If you wish us to reassemble an item of furniture, it is best to let us disassemble it, too – then we will know how to put it back together! Q. Do we offer Transit Insurance? A Yes we offer Transit insurance we are an accredited insurance provider, please ask our friendly staff for a quote. Q. I don't want a lot of heavy foot traffic through my house and possible dirty shoes leaving marks. Will the movers take their shoes off? A. Yes, we offer short and long term warehouse storage. We only charge for what you store. Q. When does payment need to be made? A. Payment needs to be made on or before delivery, we accept direct debt cheque cash or Credit card which incurs a 2% surcharge. Q. Do you send 2 men? 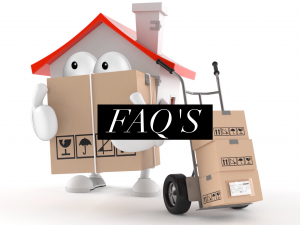 A .Yes, we provide 2 trained removalists who will move all furniture into each room as you direct them to. Q. What size trucks do you have? A. We have trucks large enough to move your whole house in one trip. Q. Should I wait to turn the fridge back on? A. If you have an older style fridge, without self-defrosting, yes it is better that you let it settle 15 minutes before you turn it back on.